Outgoing Fine Gael TD John Deasy has been selected as one of the party's two candidates in Waterford. Deasy cut his teeth in the political world as a legislative assistant in the US, working alongside Senator John Heinz and Representative Ronald K. Machtley. The 43-year-old was first elected to the Dáil in 2002, winning re-election in 2007 with over 15 per cent of first preferences. 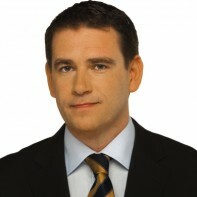 He served as the Fine Gael Deputy Spokesperson on Foreign Affairs until October 2010. Deasy was removed from his position as Fine Gael's Justice Spokesman when he broke the smoking ban in the Dáil bar in March 2004.